Powerful, full-featured Fire 7 tablet--with 1 year of Amazon FreeTime Unlimited and a Kid-Proof Case--for a savings of up to $129--plus a 2-year worry-free guarantee. 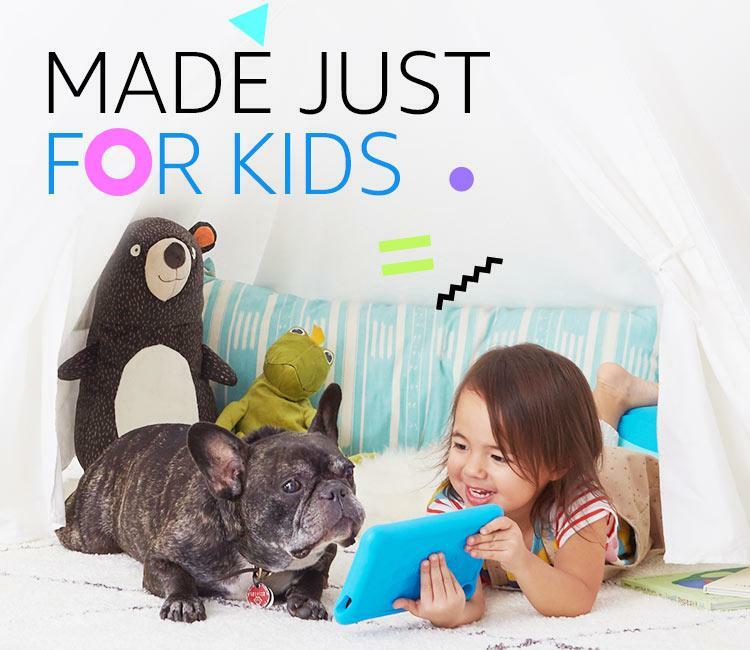 Amazon FreeTime Unlimited is an all-in-one subscription that brings together all the types of content that kids ages 3-12 want, with over 20,000 books, movies, TV shows, educational apps, games, (and soon, Audible audiobooks!). Fire Kids Edition includes a year of Amazon FreeTime Unlimited at no additional cost. 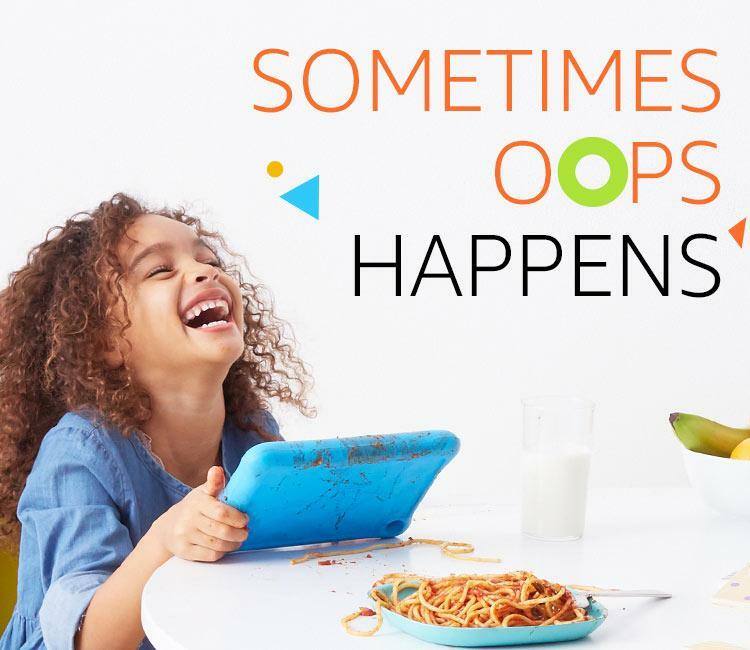 Each Fire Kids Edition tablet comes with a Kid-Proof Case and a 2-year worry-free guarantee, giving parents peace of mind and kids freedom to play. Manage and customize your kids' experience with up to four individual child profiles. Set bedtime curfews and employ tighter controls on screen time and content. With Learn First, you can block access to videos and games until educational targets, such as reading goals are met. Parents can exit Amazon FreeTime using a passcode to get full access to all tablet features including settings, apps, and Alexa in the adult profile. 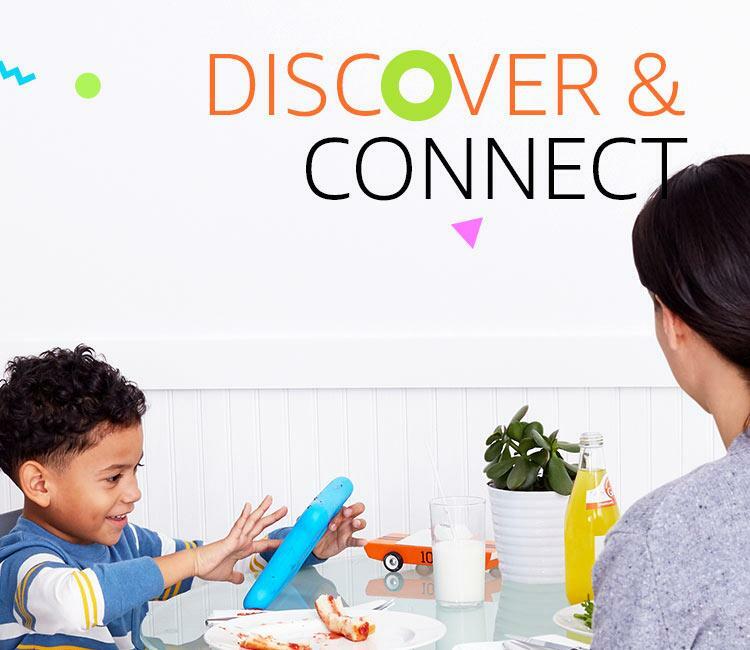 While in Amazon FreeTime, kids do not have access to social media, the internet or Alexa, and they can't make in-app purchases without parental approval. The web browsing experience keeps out the inappropriate content by using Common Sense Media’s and our own expertise to hand-select tens of thousands of websites and web videos. Parents can also easily add more websites. Fire 7 Kids Edition includes a year of Amazon FreeTime Unlimited at no additional cost. Amazon FreeTime Unlimited offers books, movies, and TV shows. Titles are age-appropriate for kids from 3-12. Amazon FreeTime Unlimited now includes more than a thousand Spanish-language titles. Kids can enjoy books, videos, apps, and games in Spanish with popular characters and titles like Sesamo, Dora, and Sonic the Hedgehog and brands like Nickelodeon, Disney, and more. Kids also have access to kid-friendly, hand-curated websites and videos in Spanish. Age Filters ensure that your child sees only age-appropriate content. Parents can add content to their child’s profile to give them access to more, like Netflix, YouTube or Minecraft in FreeTime mode. Discover content (and soon, Audible audiobooks) in FreeTime Unlimited through Parent Dashboard. See child activity and manage settings that include adding content from your personal library and more. 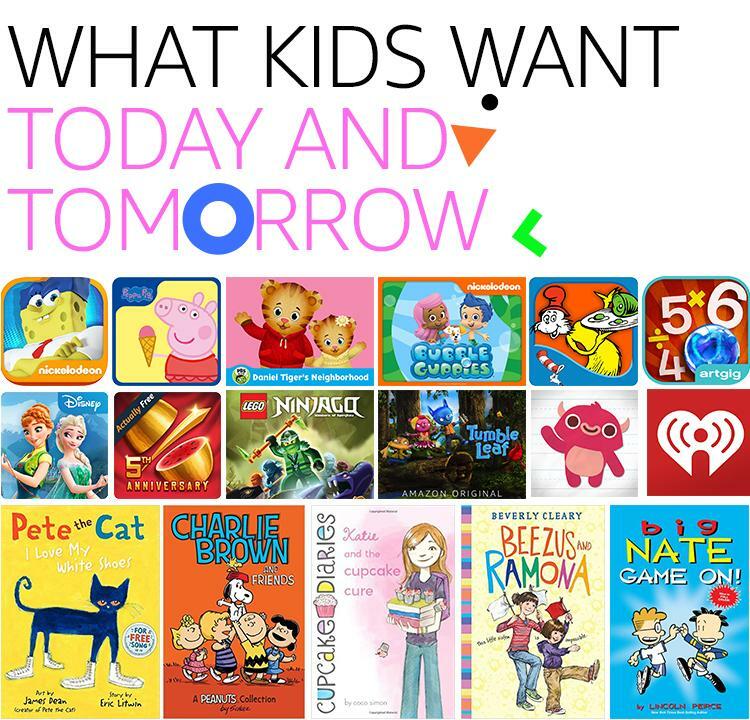 Discussion Cards help parents start conversations and connect with kids about these titles.